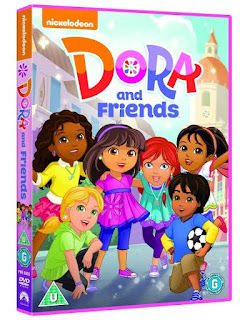 WIN #27: 1 of 2 Copies of Dora and Friends on DVD! Beat the back to school blues with this fresh new four-episode collection catching up with family favourite and children's institution Dora The Explorer and her gang of comrades when they're all grown up! Join Dora, Emma, Alana, Naiya, Kate and Pablo for four magical adventures in this very special release. 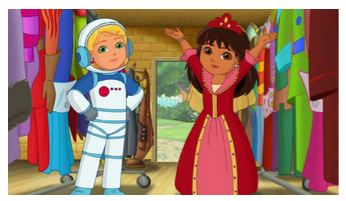 Dora and Friends asks you to help Dora and her friends travel to an ancient world to return a lost ring, discover a talking ship in a secret pirate cave, embark on a royal adventure to return a dress to a princess and bring dance back to a town where it's been outlawed! Dora's moved to a beautiful pan-Latino metropolis by the sea called Playa Verde, entered a diverse new school and is busier than ever! Dora's also found a new group of friends with a shared passion for learning and exploring, who join her on new adventures in the city. Together, all for one! 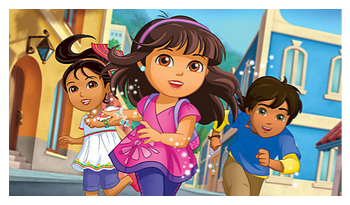 Dora and her new group of friends are ready to go on exciting adventures in a new city, but this is no ordinary town! Around every corner, there are portals to magical worlds filled with surprises, obstacles and villains ready to test Dora and her friends with challenges. Luckily, Dora has new tools to aid her and her friends - like a smartphone featuring Map App and other magical gadgets galore. Enjoy a vibrant spin-off of animated mega-hit Dora The Explorer, following a little Latina heroine as she travelled the world with her trust pals, educating an adoring public by teaching them new languages as she went. The franchise quickly became a global phenomenon with children worldwide loving Dora! 1: We Save a Pirate Ship! Runtime: 88 minutes (1 hour 28 minutes).